This project was seeking to solve an ongoing maintenance issue due to tagging, graffiti and stickering of traffic light boxes and the ongoing need to repaint them with the associated costs. 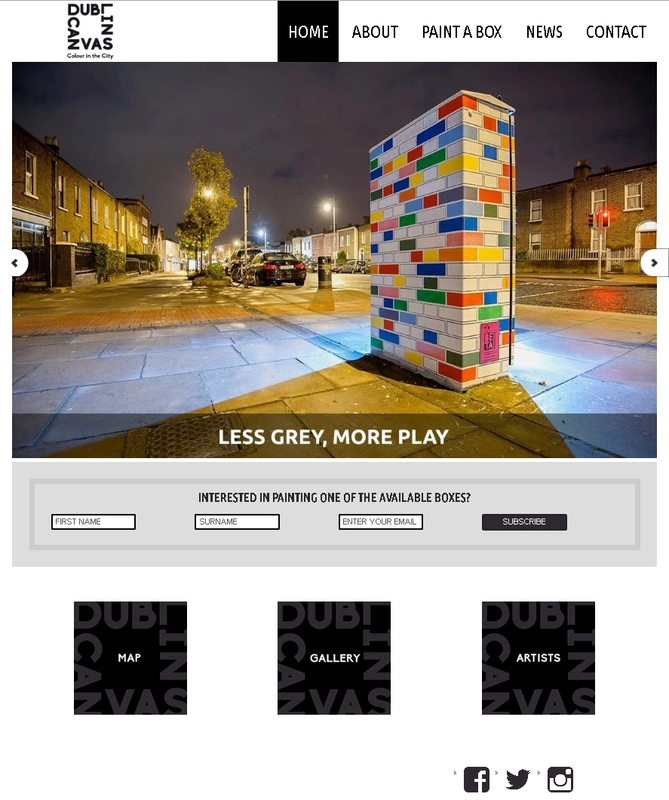 The solution proposed was that by enabling people who wished to put artworks onto the boxes we could remove or alleviate the need for maintenance, whilst improving the public realm experience. The trial took place in the Markets Area of Dublin. There were 11 suitable traffic light boxes in this area. 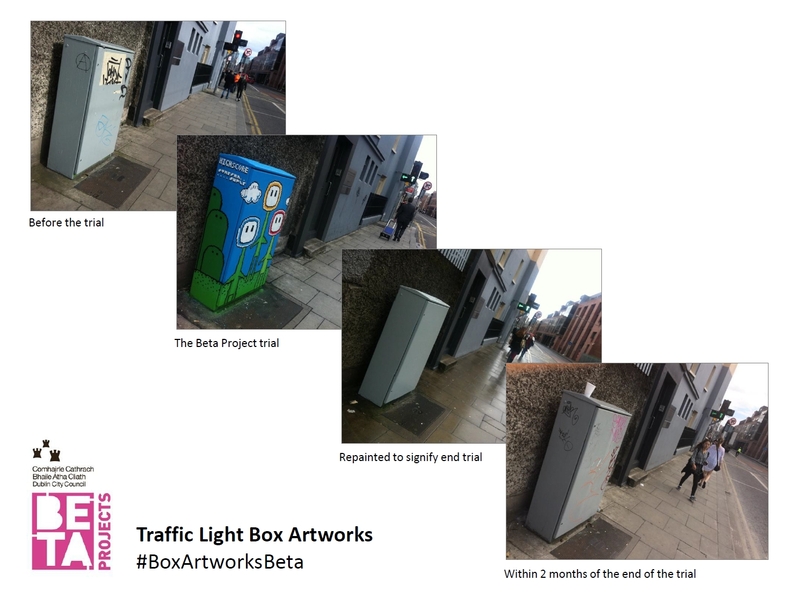 These boxes were painted over an agreed period of time to maximise affect and the trial ran for 12 months from June 2012 to July 2013. This trial cost Dublin City Council €1,067. At €97 per box the new solution wouldn't appear to cost Dublin City Council any more than the current solution. This approach does achieve the objective of reducing the amount of graffiti/tagging and the associated costs of removal. It would appear to add to the visual amenity of streets and talking points in an area, and is very popular with both locals and tourists. Planning have agreed to 200 boxes in the city being used for this solution. 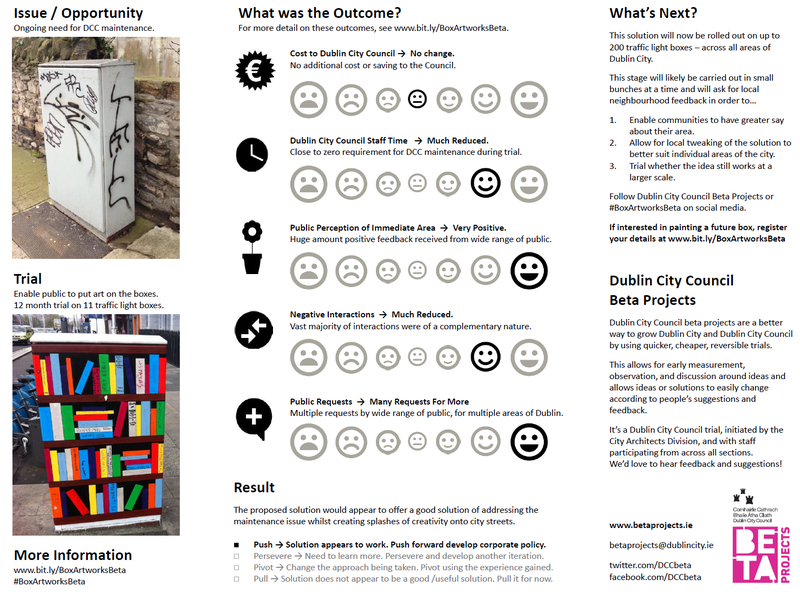 This concept is currently rolling out, under the new Dublin Canvas platform. Original project description and comments on the old DCC Beta website. Very happy with this project. It adds a touch of beauty to the banal.